LMC CORPORATION specializes in Job Order Contracting (J.O.C.) and is an award-winning J.O.C. provider. 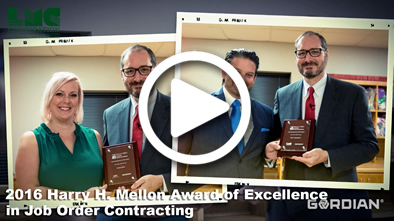 Over decades of operation, LMC has developed an efficient and effective process to provide exceptional service in Job Order Contracting and has gained the experience necessary to anticipate and avoid problem areas before they occur. LMC typically self-performs 50%-80% of the work we do, which means we have crews on notice and available at all times for our J.O.C. customers. We can generally be onsite performing an immediate-need project within hours of receiving the call for service.There is no minimum project size for our J.O.C. customers. We can plan and execute jobs from $100 to $10 million. We are happy to hang a door in your facility or build the facility the door will hang in. LMC holds numerous independent Job Order Contracts across the state of Texas and surrounding areas. By establishing an independent J.O.C. with LMC you are contracting an award-winning extension of your own maintenance department. We work hand in hand with you and your staff, throughout the process, to deliver the most time-efficient and cost-effective approach to your organization’s construction and maintenance demands. Whether your primary concern is completing a building renovation by the end of the summer break or fulfilling of series of repairs within the confines of your budget, LMC is your strategic Job Order Contracting partner for effectively fulfilling your maintenance and construction needs on time and on budget.